With a vast and exotic array of both vegetarian and non-vegetarian North Indian cuisine, Spice Sutra is the ultimate destination for North Indian foodies who only desire the best at an affordable price. 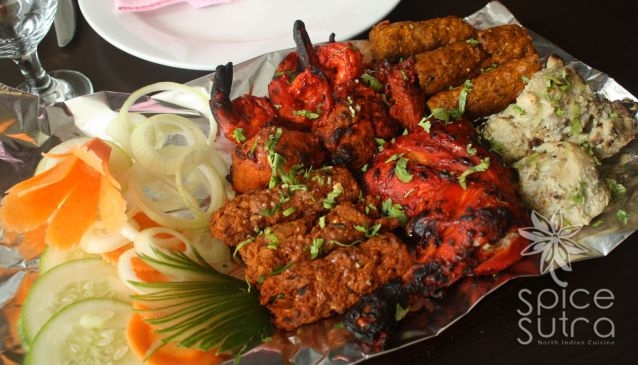 Only using ingredients that are Halal certified, the restaurant offers some North Indian favouristes that will definitely tantalize your taste buds: Butter Chicken, Rogan Josh, Mixed Grill Hotplate, Mutton Birayani, Palak Paneer, Aloo Gobi Sabzi, Mutton Kali Mirchwala, Samosa Chat, Fish Tikka, Shami Kabab Banarasi, Gajar Halwa and Mushroom Pakora are some of the most popular dishes that you shouldn't miss. At Spice Sutra, which is located on Upper Thomson Road, families and large groups of friends can enjoy the warm setting, friendly staff and the fabulous feast on offer. The eatery also provides take-away and catering services.